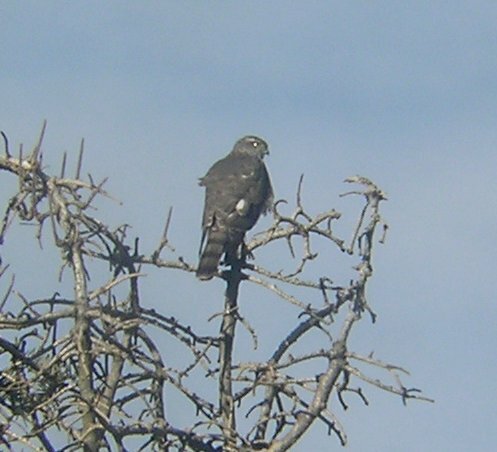 diurnal raptors such as eagles, buzzards, harriers and other hawks. but birds from colder regions of north Europe and Asia migrate south for the winter, as far as North Africa and India. as it flies from a perch or hedge-hops to catch its prey unaware. 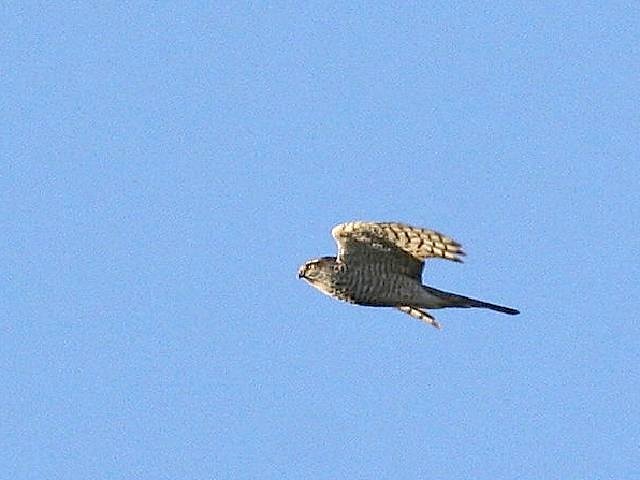 This bird is a small raptor with short broad wings and a long tail, both adaptations to manoeuvring through trees. The male was formerly called a musket, and the gun called a musket was named after the bird. 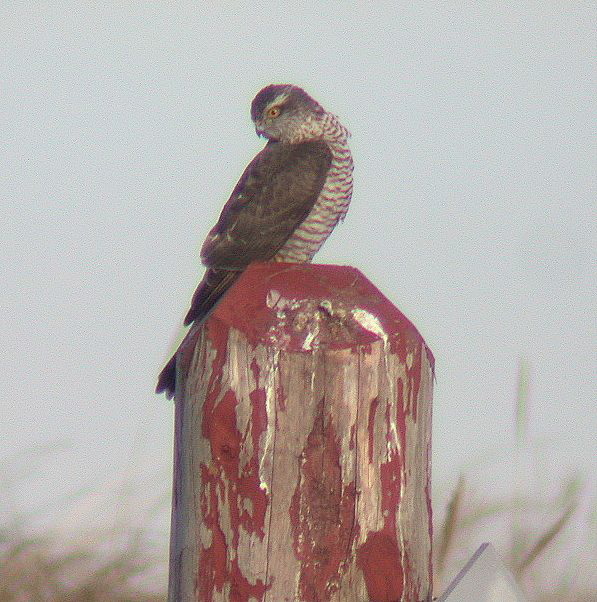 The male is 29-34 cm long with a 59-64 cm wingspan, and is slate-grey above and barred reddish below. The female is much larger at 35-41 cm length and a 67-80 cm wingspan. 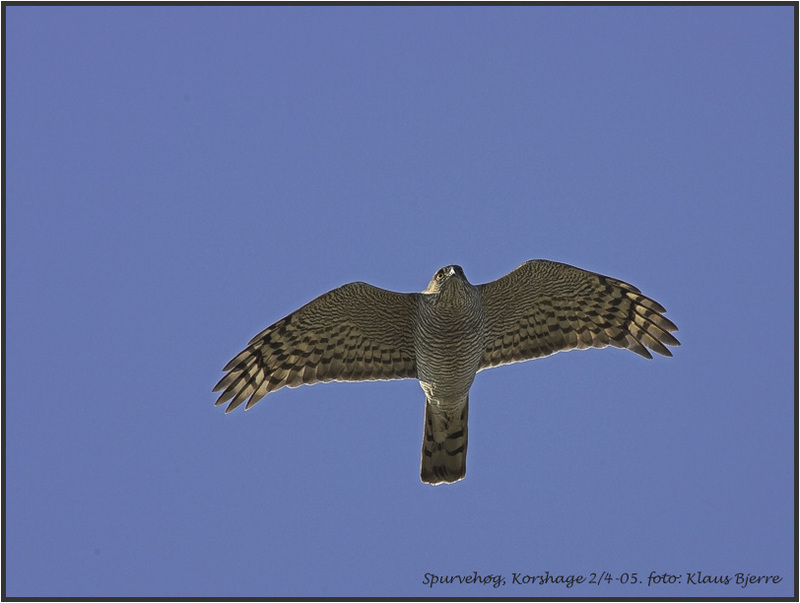 She is barred grey below, and can be confused with the similarly sized male Goshawk, but lacks the bulk of that species. The juvenile is brown above and barred brown below. The flight is a characteristic "flap  flap  glide". 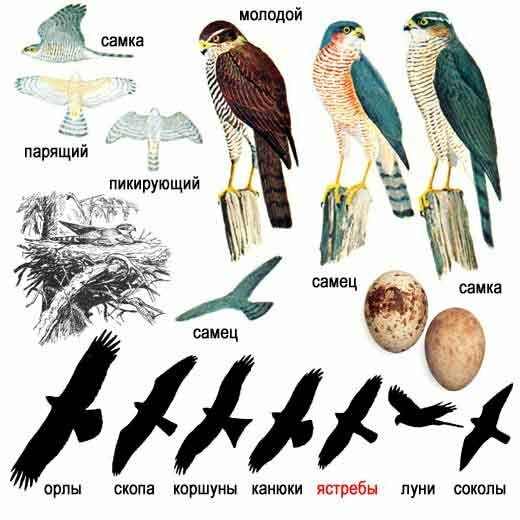 The New World species formerly known as the Sparrow Hawk (Falco sparverius) is now called the American Kestrel. The new name is preferable, since this bird is not an Accipiter hawk but a falcon. and feeding well from flocks of about 500 greenfinches.